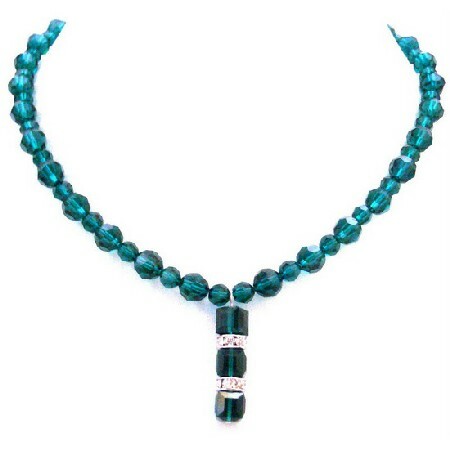 Harmonious accumulation of Round 8mm & 6mm Emerald crystals round the necklace with Dangling stunning drop down. This is such a Beautiful necklace Emerald Crystals the vermil Round Crystals necklace Dangling drop down. Perfect with any outfit Superr Grade RARE HIGHEST QUALITY. Good shinning surface quality with unique attractiveness & fashionable flair to this stylish. Check this out! Necklace a trendy piece Necklace a perfect piece for anyone to wear for a formal or casual occasion!.